Housed within the southwest wing of the Palais Chaillot, the National Marine Museum (Musee National de la Marine) appeals to naval and history buffs with its extensive collection of model ships, art and objects relating to 300 years of French maritime history and culture from the seventeenth century to the modern day. 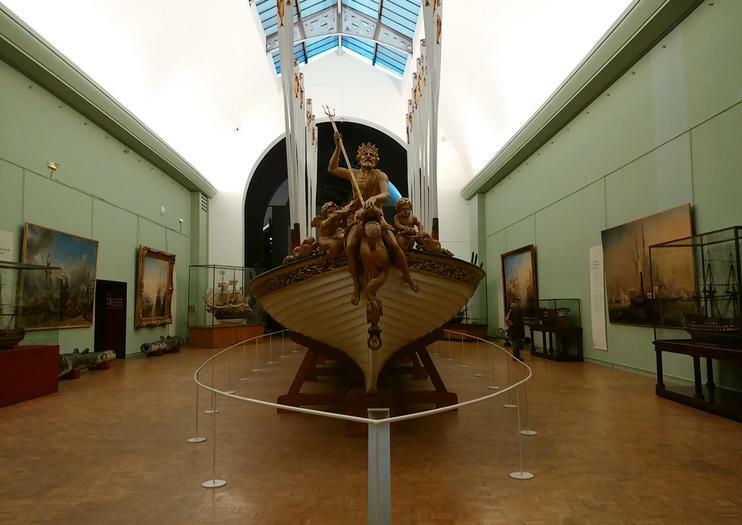 Highlights of the collection include a cutaway model of a modern aircraft carrier, several figureheads recovered from shipwrecks, a metal diving suit from 1882, an imperial barge commissioned built for Napoleon in 1810, the prow of Marie Antoinette’s pleasure barge and models of the galleys of Louis XIV. Art aficionados will appreciate the collection of maritime paintings by eighteenth century artist Joseph Vernet.